This is author's debut book based on the true account of the author and his wife's love story and subsequent marriage until destiny reveals its plan. It is a story of Ajay, a Brahmin boy, and Bhavna, a Kayastha girl with divergent beliefs who fall in love. Ajay believes in living for himself; Bhavna teaches him to live for others. Ajay is a planner for life; Bhavna makes him live in every moment. The story starts with engineering college in Allahabad where they met and fall for each other. A sweet story of college and lack of money but rich by heart. A four-year relationship become long-distance relationship when Bhavna started work in Hyderabad and Ajay goes to Pune for his MBA. This story told with frankness and doses of humor. An inter-caste marriage was a very big deal for their families but they do everything to convince their parents and never surrender. It's a profound journey and struggles with life shows excellently after his beloved wife left him midway. 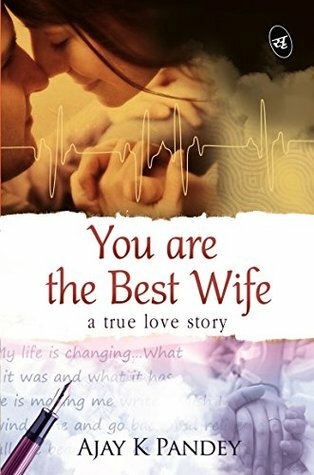 But the last word of Bhavna, 'You are the best husband' gave him the strength to live on and fulfill his promise of love. He searches for a reason to be happy and start working with an NGO after Bhavna's death. It's not easy for him until he decides to live his life with Bhavna's memories. He understands that quality of life is what matters, not the quantity. It's a very innocent love story and described very well. The author uses simple words which are easily understandable. This story gives you goosebumps. It takes an exceptional amount of courage and determination to pen something like this and all proceeds from this book will be donated through Bhavna Charitable Trust. All in all, it's a very emotional story and I would recommend it to all.